Batman's war with mobster Carmine "The Roman" Falcone continues to take center stage in this week's issue of Batman: Eternal. It is a war that Batman doesn't realize he is losing, as unbeknownst to him - but knownst to us - the new Police Commissioner is in Falcone's pocket. 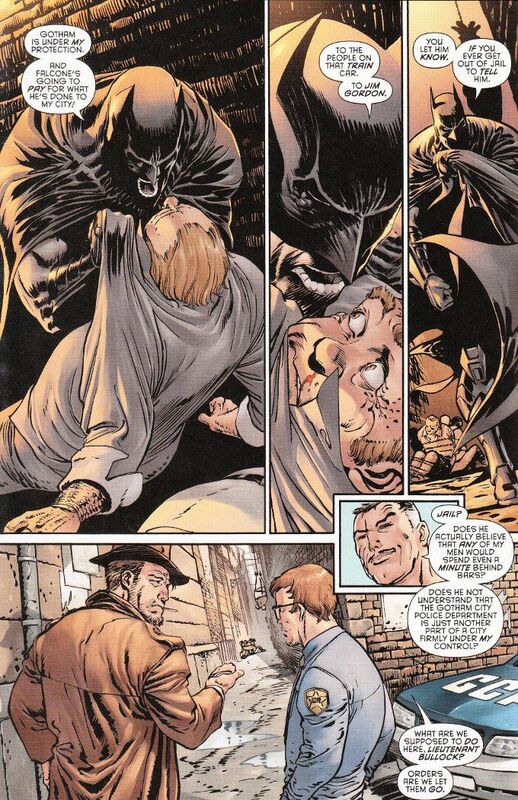 Worse, he's instituted a new policy of refusing to arrest any criminals Batman brings down. The script by John Layman does a good job of balancing multiple subplots that mix and mingle throughout the issue. 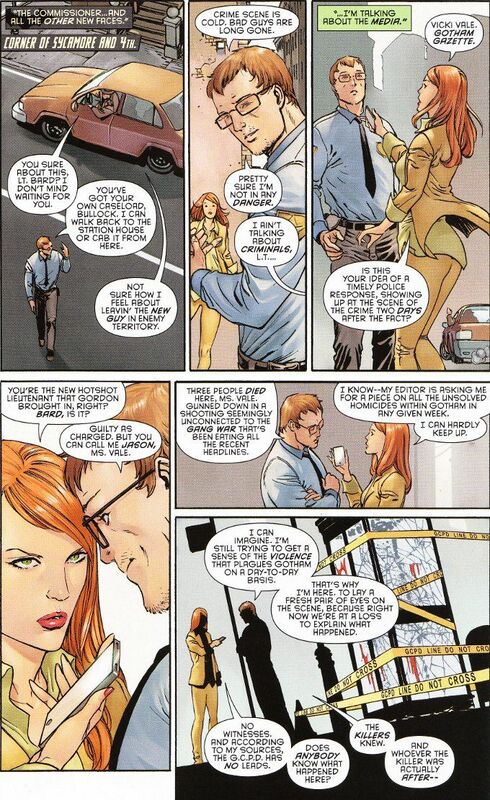 Vicki Vale - still pursuing her story from several issues early - runs into honest cop turned flummoxed rookie Jason Bard and the two interact for a bit before getting on with their respective bits of business. But it isn't all interaction and the issue concludes with the series' most thrilling action sequence to date. The artwork by Guillem March seems reminiscent of the early works of Todd MacFarlane in terms of design and detail. Some sections seem a little rushed but the pencil-work is largely excellent. The only real flaw to the artwork is the washed out palette, full of dirty browns and greys, used by colorist Tomeu Morey. Even the blue of Jason Bard's uniform looks more grey than blue.